Your flower ideas, style and personality, combined with our experience and flower artistry will ensure that your wedding day is a day to remember. From creating bespoke contemporary wedding bouquets to traditional church flowers we can deliver your dreams of a perfect wedding. See more about our London wedding flower service. Enrich your working environment with our artistic flower designs. Our team of florists is more than happy to meet your requirements and deliver best fresh flower and green plant solution for your London offices, receptions exhibitions and production sets. See more about our flower service for your London business. Let us decorate your special London event or party with original and innovative flower designs. Enjoy the wonderful flower journey that starts with the seed of your idea and blossoms into the beautiful flower celebration. See more about our London event flower decoration service. Todich Floral Design is an award-winning Wedding and Events florist based in South London. It was founded by Zlatko "Todd" Todic and consists of a team of designers and florists with many years' experience in the business. From large luxury hotels and corporate clients, to small bespoke weddings and private events, the team specialise in using their wealth of knowledge and expertise to transform clients' floral requests and requirements in to unique, beautiful and innovative designs. Welcome to our world of flowers! All our flowers and plants are sourced from local suppliers or direct from New Covent Garden Flower Market and only those that meet our strict quality standards get picked for use in our designs. We also have a strong focus on seasonality and sustainability and are committed to running an eco-friendly business. In 2011 we were named Best Business for Customer Service at the Lambeth Business Awards and continue to build on this with a growing, satisfied base of corporate and private clients alike. We can also provide same day London and next day UK delivery for flower bouquets, chocolades, gifts and hampers through our online flower delivery service, Flowers24Hours.co.uk. Whether you have a clear idea of what you want or need some help making a choice, top bridal florist and wedding floral specialist Todich Floral Design will work with you to create your dream wedding flowers. With years of experience as a wedding florist in London, we have worked on a huge range of UK weddings, from small intimate church weddings, to large extravagant affairs in luxury hotels. In a free consultation at a location of your choice, we discuss in depth your wedding flower ideas, style and personality in order to come up with a bespoke proposal that is as unique as you and your husband to be. From contemporary, modern wedding flowers to the pew and church flowers for weddings, candelabras and wedding table centrepieces, bridal florist can deliver a huge variety of wedding flower arrangements and wedding venue decorations. If you fancy something unique or large like a floral archway, garland wedding decoration or floral ceiling our flower stylists can do that too; there is no item too small or large we can't create, supply or source. In addition, our free online Wedding Flowers Wish List can save you time and effort too. With this unique wedding planner you are able to mix and match wedding flowers: bridal flowers, artistic bridesmaid bouquets, hair flowers, wedding corsages, wedding buttonholes, wedding reception flowers and more. There are many different possible wedding flower designs and themes nowadays which you might like to explore, including rustic, vintage themes, art deco style, weddings in unusual places such as barns, boats, marquees and even teepees. Warehouses are also now popular too, as well as of course the traditional church wedding. Colour also needs to be taken into account too, as themes are often based around this, with pastels always being a popular choice. But there are innumerable possible colour schemes you may consider for your wedding flower ideas now, including all-white, neutral or bright. Neutral or all white colour palettes are a popular choice for very modern, chic, designer wedding bouquets and wedding venue stylists in the UK where the bride is looking to create a classy atmosphere, while pastels give a soft, feminine and romantic feel and also lend themselves well to the rustic, vintage or shabby-chic look. Bright colours can be used to help create and bring to life more eclectic or boho themes, particularly wild woodland, theatre or cabaret-themed weddings. Our expert team of artistic wedding florists and wedding event stylists at Todich Floral Design in London specialise in advising clients on design and colour combinations that will work best for their big day and may often suggest a palette you might not have thought of. Being based close to New Covent Garden Flower Market means the team at top London florist Todich Floral Design has a constant source of ideas and inspiration for bridal flowers and wedding reception decoration in London. We visit the market daily for stock and this enables us to keep our fingers on the pulse of current trends in event flower design and wedding flowers, as well as the cost of wedding flowers in the UK. It also means we can offer one of the best wedding flower delivery services in London as the flowers come direct from the market to us, to you, guaranteeing freshness and quality. Our team of wedding floral specialists thrive on coming up with new and innovative ideas for artistic bridal flowers, wedding venue designs and wedding flower decorations and we love any excuse to add to our huge stock of containers, vases and props so that we can cater for pretty much any style of wedding or event, and offer clients all the very latest designs. As one of the best florists in London, Todich Floral Design offers a full wedding decoration service in London and the Home Counties. The florist designed bouquets by Todich Floral Design. 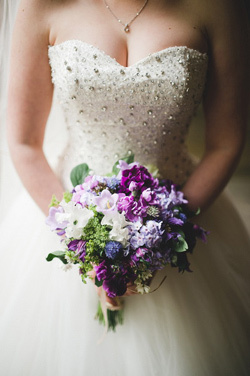 As a specialist bridal florist, Todich Floral Design can provide many different styles of bridal bouquet, from traditional designs such as a shower bouquet of flowers, wired posies, sheaf wedding bouquets, and posies in floral foam, to more popular modern designs such as the domed or loose natural hand-tied bridal posies. You'll want your bridesmaid bouquets to be complementary to your bridal bouquet too, though this doesn't necessarily mean they need to be just a smaller version of your own. Although they are mostly similar in terms of colour and style, they don't need to exactly match and particularly if you have younger bridesmaids, there are different designs available for them. 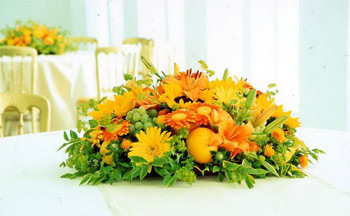 Your wedding florist should ensure that everything is cohesive in terms of overall look and feel. For young bridesmaids' flowers, pomanders, bridesmaids baskets or a mini bridesmaid posy featuring similar flowers to the florist designed bouquet for the bride can look nice. Pomanders have seen a resurgence in recent years and for really little ones, bridesmaid wands are cute too. Pomanders have the additional benefit that they can double us as decorations in your wedding reception venue, hung from the ceiling, on overhead beams on on banisters. In fact if you are on a tight budget, all your bridal wedding flowers can be re-used as wedding reception decorations, by simply putting them in glass vases and then complementing these with more single stems of the same flowers dotted around. Floral buttonholes and corsages should be a nice subtle reflection of the flowers for your bridal bouquet and wedding reception designs. Artistic wedding florist Todich Floral Design provides wedding corsages for mothers, wedding corsages and wedding buttonhole designs that perfectly complement your other wedding flowers and which will delight your guests on the day. Buttonholes for weddings in London can also be provided at a cost effective rate and will all be expertly finished win ribbon, designer wiring and pins, and freshly delivered to your bridal party on the day. Todich Floral Design florists in London are happy to advise clients on all kinds of budget, whether you have £500 or £5000 to spend and we are experts in helping clients minimise their wedding flowers cost while getting the most out of their budget. As one of the best online florists and wedding floral specialists in the UK, we also offer a free online Wedding Flowers Wish List where you can select from a range of ready-made bridal bouquet types, bridesmaid flowers, artistic floral designs in wedding reception styling, wedding corsages and buttonholes, then enter wedding flowers prices to generate a quote. Our wedding stylists will work with you to advise you on seasonal wedding flowers in order to help keep costs down, as most flowers can now be obtained year-round, but if they are not in season they cost much more. Whether you have a specific combination of flowers or colours in mind, such as pink wedding flowers online or purple wedding flowers, our wedding stylists will help and advise you every step of the way. Win your wedding flowers online! Bridal wedding florist Todich Floral Design offers clients the chance to win wedding flowers up to the value of £500 up until 14th March 2016. Win your bride's bouquet, bridesmaid flowers, buttonholes, corsages and more. £500 goes quite a long way so don't delay, enter today! We recently renewed our website with fresh new wedding photography portfolio, so do not miss the chance to visit Wedding flowers London gallery. It's a great place for lovers of artistic wedding photography, wedding flower designs and bridal magazines photos. We also regularly upade the Wedding Florist's Blog with new content and usefull tips for young London brides! It's a proven fact that corporate flowers and corporate plants improve mood and creativity and decrease stress. Enhance the performance and well-being of your staff or guests and turn your London office, restaurant or venue into an oasis of calm by enriching your environment with our beautiful flower creations and artistic designs. Or create the perfect atmosphere on your editorial, film or TV production set. Our expert team of corporate florists in London will work with you to create impactful displays that marry perfectly with your ethos, brief or brand, whether it's sleek, modern and cutting edge, cosy, traditional or family-run. Following an initial free site visit and consultation, the experienced team of corporate florists in our flower shop in London will come up with a tailored solution of corporate displays or plant options to suit your budget and requirements. By using seasonal, locally supplied flowers we guarantee premium quality and freshness, as well as an eco-friendly service. Plus our online account management system saves you time and keeps track of your flower and plant preferences too. We are so confident of our superior service and the quality of our corporate flower arrangements that we offer a free one week trial when you first sign up. As employees come in to start the new week perhaps feeling a bit down on a Monday, our ever-changing, beautiful corporate displays, office flowers and office plants will help lift their spirits as they enter the office each week. Todich Floral Design office florist, London, specialises in ensuring that each week you get something new and fresh for your office arrangements, but which all the while still meets your brief and get the most out of your budget, while aligning with your company image and ethos. Make the right impression with clients entering your premises, as stunning fresh office flowers help provide an impact and create a feeling of success, as well as de-stressing them before that all important renewal or performance update meeting! Our office florists in London implement strict quality controls to ensure we only send out the freshest and best flowers, but if for any reason you're not satisfied or they wilt, we offer a 24-hr replacement delivery service. Restaurant flowers, bar flowers and plants can provide a real 'wow' factor as clients enter your premises and can provide a stunning natural complement to your existing décor. Having been a restaurant florist in London for many years, Todich Floral Design has vast experience of consistently coming up with new designs that help leave an impression with your clientele. At Christmas our stylists and event designers install restaurant flowers across London to help bring the festive spirit to clients throughout the capital, so you've probably already seen many of our designs! Artistic hotel flowers and hotel plants help create a relaxing and beautiful environment for guests and communicate the image you wish to portray of your hotel, whether that is cosy and family run or upmarket and chic. Striking, modern designs will create talking and focal points for guests and are great for sleek venues that wish to be perceived as fresh, trendy and innovative. Rustic arrangements and warm or soft colours of typically English blooms will help create a cosy country feel, which is great for places wishing to create an intimate atmosphere. Having fresh flowers on the tables in your hotel restaurant is also a lovely touch and it is amazing what a difference this somewhat small gesture can make to the atmosphere. Planning a special event, press launch or private party in London or the surrounding area? As specialists in event flower design and installations, Todich Floral Design, which provides event flowers in London and the south east, will come up with an original, innovative and unique concept for your event flowers to help you create the atmosphere, or communicate the image you want. With a huge range of decorations, accessories, containers and props to choose from, including oversize vases, antique urns, birdcages, candles, lanterns, picture frames and more, we can help custom-build a spectacular backdrop and floral design to fit your exact requirements and needs. Following an initial free consultation at a location of your choice, our expert event florists will advise you on styles, props, arrangements and materials for your event flowers that fit with your budget and brief. On the day of your event, the team will then professionally install our event floral designs and decorations to ensure that everything goes off without a hitch. As we use only quality, local suppliers, flowers from London, and the best seasonal materials, you can be assured of freshness too, and that even though your guests may be wilting at the end of the night, our creations will not! 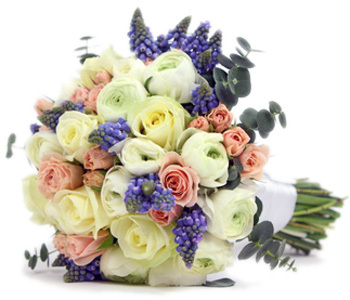 Floral stylist Todich Floral Design is also competitively priced for London flowers. Our talented team of event florists in London are dedicated to supplying the best flowers in London and love the opportunity that event floral design provides to truly unleash all of their creative potential. Whether it's a small private party at home, or an important occasion at a big lavish venue with hundreds of guests, we can cater for a wide variety of event sizes, venues and themes. Perhaps you're having a themed birthday party or anniversary dinner, welcoming a special guest or celebrating a special event such as a birth or someone returning home. Or perhaps you're throwing a party or networking event for clients or business contacts. From informal, fun events to serious official dinners, we have provided event flowers in London and the UK for all different kinds of occasion and pride ourselves on being one of the best florists in London and providing on the highest quality flowers. London corporate, event and wedding florist Todich Floral Design can provide event flowers throughout London and the home counties at a great price due to our efficient business model as an online flower company. We will help you maximise your budget for your private event flowers or corporate flowers for events, plus corporate plants, and corporate flower arrangements to help enhance and decorate your office, hotel, restaurant or bar on a daily basis and on special occasions such as Christmas, New Year parties, product launches and weddings. Todich Floral Design has provided wedding flowers in London's top hotels including the Dorchester, Mandarin Oriental and Café Royal. When choosing wedding decorators in London it's important to find someone who has experience of working in that, or similar venues as installing large display and event flowers can be a big task that requires a professional service. Many of the larger florists will not work with companies with a small budget, but stylists and event designers at Todich Floral Design are happy to work with you, whatever your budget and our expert team of event florists in London delight in the challenge of finding flowers, materials and designs that will meet and exceed clients' briefs. Floral stylist Todich Floral Design has worked on all different kinds of events in London and the surrounding area, including private parties for high profile individuals, media and product launches, office Christmas parties, charity evening dinners, wedding receptions at some of the largest luxury hotels, and more. Each event provides a different challenge, whether it is designed-based, i.e. designing event flowers around a particular colour, or theme, or technical, i.e. how are we going to actually construct and build the display, or attach it where desired. An event florist should have experience of professionally installing designs and making sure they are secure so as to comply with health and safety legislation, as large displays can be heavy and therefore dangerous if not properly set up. This is particularly important when providing corporate flowers such as restaurant flowers, bar flowers and plants, and also hotel plants and flower arrangements both on a daily contract basis or for special events, as it is imperative they do not pose any sort of health and safety threat to guests. That's why it's essential to work with an experienced London florist who knows who to safely construct and install your desired plants and designs.